October 1st, 2017 - Seelos Healing Mass at 1:00 pm! 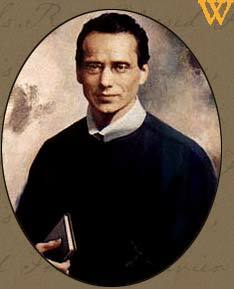 This is the 150th Anniversary of the Death of Blessed Francis X. Seelos! October 8th, 2017 - Fourteenth Annual Seelos Gala Dinner at 5:30 pm! TO FIND OUT ABOUT THE CENTER, GIFT SHOP AND MUCH MORE ABOUT THE BLESSED SEELOS CENTER VISIT ITS WEBSITE BY CLICKING HERE.